Music plays a tremendous part in every college experience. It accompanies you on long campus walks, on those attempted and aborted jogs, the random drives, the singular parties. You can hear it blaring out of dorm rooms and, we all looked forward to the eventful video releases of our favorite songs on MTV. These were the nineties, when a college student thought twice before investing 10 dollars on a CD. So we chose the music carefully. It had to be poetic, engaged, meaningful. In our late teens, feelings are deep and causes like the environment are amplified. I was one of the few college students at Smith who enjoyed Pop music: Madonna, Pet Shop Boys and Depeche Mode. Their music has always been constants throughout my life, from high school right uptil my current desperate housewife days, almost like a soundtrack to my life. But I did also indulge in "indie" music while in college, almost as a right of passage. I loved REM. However, my passion for their music started then and ended there. If I listen to it and appreciate it today, it is soley because of those years, and through them I remember many vivid moments at Smith College: the long hours of studying, the loneliness, but also the great feeling of accomplishment. I believe my brother loved the band Oasis in a similar way and also only for that period of time. My youngest uncle, the music connoisseur of the family, used to mock those college music choices. The only bands that existed for him were Depeche Mode, the Cure and for fun Pet Shop Boys. Anything else was sacrilege. 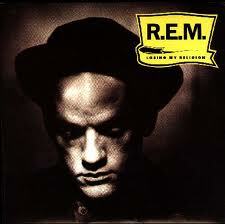 He used to tease me about my obsession with "Losing My Religion". I used to listen to that single over and over again in my car, as in the Nineties, only the more luxurious cars had CD players. I felt cool for having "graduated" from my beloved uncle's musical choices, and for creating my own lexicon of music. The "Gardening At Night" record sent a beautiful and langorous message that "everybody hurts....sometimes". When I heard it on the radio today, it sent me back to Northampton, circa 1988-1991. 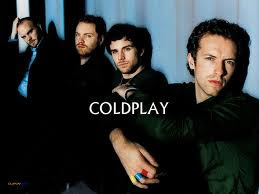 I think the latest band that deserves the title of college music, must be Coldplay. I have a penchant for their Indie style because of my past inkling for college music. My son has a premature passion for them. They are beyond simply "Viva La Vida", as we also love "Osaka Sun". OMG! I can't believe our dear blogger called Depeche Mode POP!!! Walk into any self-respecting record store and they are filed under ALTERNATIVE. DM may have had poppy origins while Vince Clarke was at the helm with hits like Just Cant Get Enough. But they quickly took a dark turn with Martin Gore as chief songwriter. As matter of fact, in the 80s became very fashionable in the US with the college alternative crowd. The American musical landscape at the time was dominated by rock. Depeche quickly became a fashion statement in Cali. Now that made that correction, I want to say I really enjoyed reading this blog and reminescing on what I listened to at Vassar. Thanks for the trip down memory lane. We have a black Yamaha piano standing silently and sad at the entrance of our house for the past two decades.Inorder to cheer it up,my wife used it as a piece of furniture proudly displaying memorable family pictures. It was a lady family friend who encouraged us to have our kids take piano lessons.Out of the four,only one had a musical ear and talent.We were so proud when he advanced to take an English Royal Music certificate.The three others concentrated on scattered interests.I remember the old piano technician,with a dangling cigarette from his lips,coming to tune the piano every now and then.My musically sensitive son passed his love for music to his little nephew who loves and appreciates "Muthiqa".I guess he desreves to get the Yamaha piano,and bring it back to life.